Step 1 Into a stand mixer fitted with a paddle attachment, combine the flours, sugar, baking powder and salt. Step 2 Over low speed, add the butter cubes and mix just until the mixture resembles a coarse meal, about 3 minutes. Step 3Add the currants and orange zest, and mix just to combine. Step 4In a medium bowl, whisk together the egg, half-and-half and orange juice. With the mixer running, slowly add the liquid ingredients until incorporated, careful not to over mix. Step 5Remove the dough from the bowl and place on a lightly floured surface. Press the mixture together to form a cohesive mass. Roll or press to a thickness of 1 inch and cut into desired shapes (scraps may be re-rolled one time and cut again). Step 6Place the scones on a parchment-lined baking sheet about 1 1/2 inches apart, and cover and chill overnight (or freeze for 1 hour). Shortly before baking, heat the oven to 375 degrees. Step 7Brush the scones with the heavy cream and sprinkle over the turbinado sugar. Bake the scones until risen, the bottoms are browned and the tops are golden-brown in spots, 25 to 35 minutes, depending on the oven. Rotate the scones halfway through baking to ensure even coloring. Step 8Remove the scones and cool on a wire rack. In Recipes-list.com we have selected the most viewed recipes from category - Breads Breakfasts . Enjoy the best recipes specially selected for you! 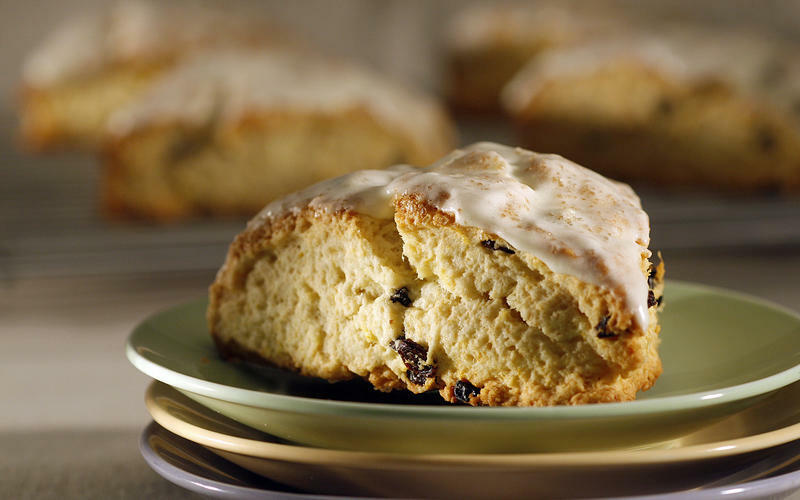 Sweetie Pie's orange breakfast scones is the right choice that will satisfy all your claims.